100 Queen’s Gate Hotel London, Curio Collection by Hilton opens its doors to guests. The 228-room hotel is the latest addition to Curio Collection by Hilton, a growing portfolio of one-of-a-kind hotels and resorts in premier destinations and one of Hilton’s 17 market-leading brands. Hyatt Hotels Corporation opens Nam Nghi Phu Quoc as part of The Unbound Collection by Hyatt, marking the first branded property in Southeast Asia under The Unbound Collection by Hyatt. 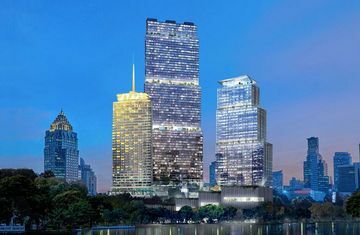 Thailand's leading hotel company Dusit announced creation of a new Bangkok city landmark in a historic collaboration with Central Pattana PCL (CPN), Thailand's largest and most diversified property developer with 40 years of expertise. Located on a cliffside over Kalafati Beach, the Wild Hotel will offer a design-led retreat, featuring 40 suites and villas ‘inspired by the colours and lines of traditional Grecian architecture’.